GKFX – Crude oil prices are on the defensive for another session on Thursday, dropping and testing the key support at the $72.00 handle for the time being. Prices of the West Texas Intermediate are down for the second session in a row today following increasing concerns over the US-China trade dispute and the sharp sell-off in the US stocks markets on Wednesday. 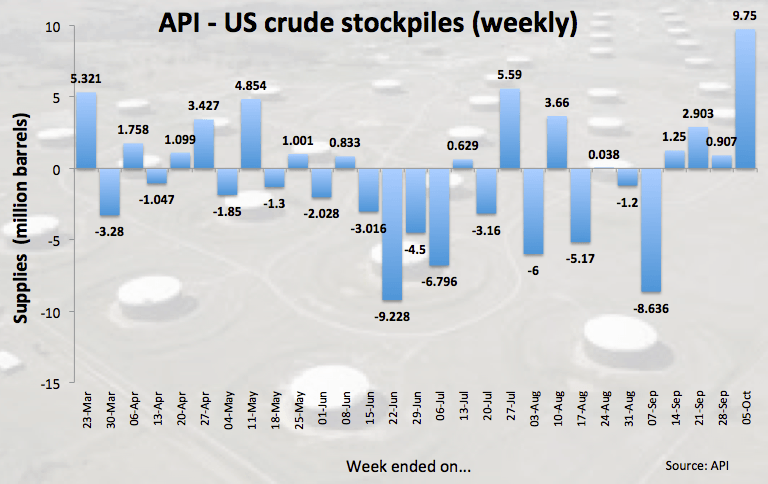 In addition, the American Petroleum Institute reported late on Wednesday a 9.75M barrels build in US crude oil stockpiles, more than estimated and also collaborating with the downbeat sentiment. Further news in the oil-universe, OPEC’s Barkindo said oil markets have been reacting to potential supply shortages. Looking ahead, US CPI figures for the month of September will keep the attention on the buck ahead of the DoE’s weekly report on US crude oil inventories. At the moment the barrel of WTI is down 0.74% at $72.17 and a breach of $70.20 (55-day SMA) would aim for $69.65 (100-day SMA) and then $67.23 (low Sep.7). On the flip side, the next up barrier aligns at $74.51 (10-day SMA) seconded by $75.41 (high Oct.9) and finally $77.12 (2018 high Oct.3).